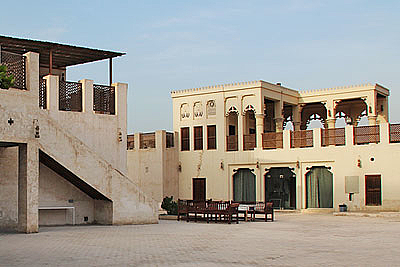 Five multi-functional art spaces of the Sharjah Art Foundation in Al Mureijah, Heritage Area. 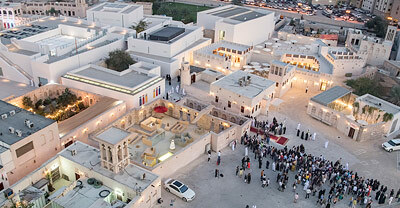 Inaugurated in March 2013 for Sharjah Biennial 11. Inaugurated in 1997; two buildings with 68 halls and a total area of aprox. 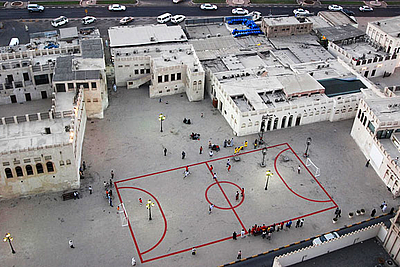 11,000 square meters. Public space interconnecting the buildings of the Arts Area. 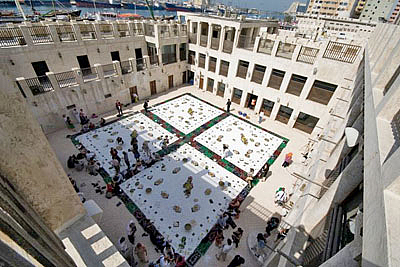 Venue for art projects, performances, and events. Renovated three-storey heritage building from the 19th century. 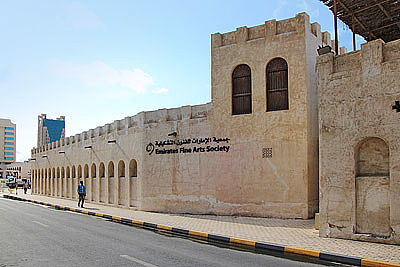 Venue for changing exhibitions, workshops, and events. A restored creek-side house in the Arts Area with artists' studios and gallery spaces surrounding a large courtyard. 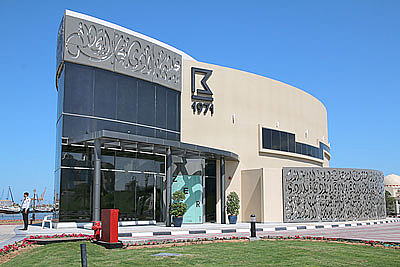 Association of art professionals in the UAE. 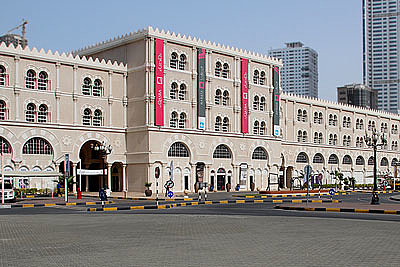 Head office in Sharjah with a gallery. 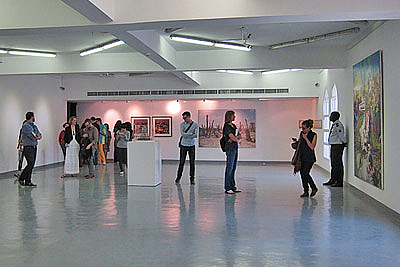 Organizes exhibitions and workshops. 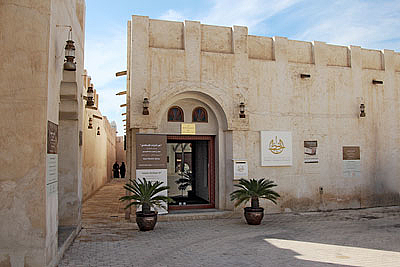 Traditional and contemporary calligraphy by local and international artists. Temporary exhibitions, special events. 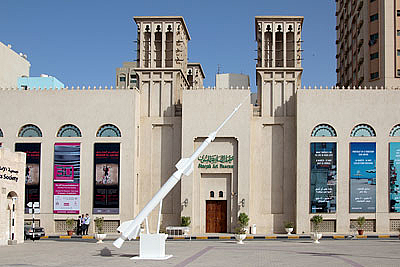 Art space and cultural platform in Al Qasba, the leisure center on the canal between the Al Khan and Khalid Lagoons. 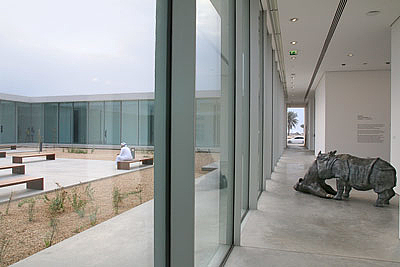 Multi-functional gallery on Flag Island in Sharjah, dedicated to exhibition, display and discussion on all forms of contemporary design. 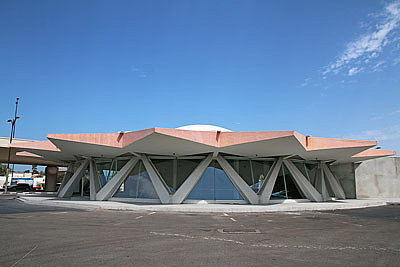 Eccentric building from the 1970s used as restaurant and shop, refurbished by SAF as exhibition venue in 2015. 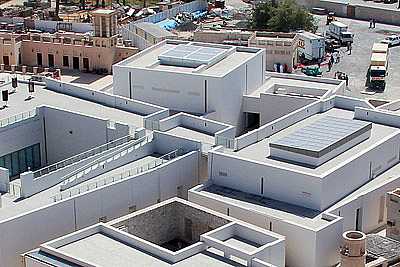 Studios and exhibition spaces at Al Hamriyah coast, designed by architect Khaled Al Najjar, inaugurated in 2017.